These links are from the forum of VolkswagenTalk.com, not sure the risk about them. 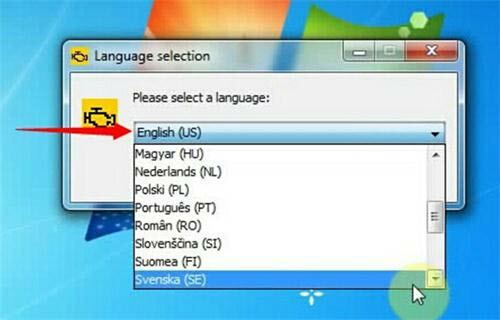 This new version only can be installed on Win7 system. One is automatically identified by system, if your system language is English,then your ODIS software language is also English. 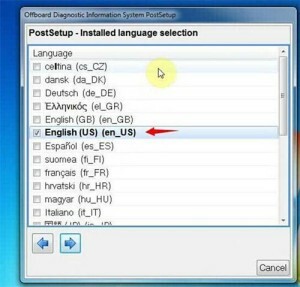 The other way is you select language when you install the software, but it must be the same in these two places. Someone to already try ODIS 4.3.3 with passthru AVDI? I tested a clone 5054a with version 4.3.3, result: at the start of the program a warning message warns you that “the radio head is not authentic”( I do not remember exactly). So under odis 4.3.3, the clone vas5054a are blacklisted. It’s better to stay in 4.2.3 or find an original vas5054a. Does ODIS 4.3.3 work with VAS heads and passthru interface? This version has same level of D-PDU as ODIS-E 8.1.3. All proper vas heads with AMB2300 genuine with work as a charm, same as all passthru interfaces supported. Can ODIS 4.3.3 work well with VAS 5054a? Bad clones of VAS 5054a cannot work well with this version. Even those that works with 4.2.3. For bad clones just need to downgrade PDU from 042 to 041. Are there clones that work on 4.3.3? Yes, clones work on 4.3.3 with PDU 041. But mot working with PDU 042. I’m still using the 4.2.3 in a VM with clone VAS 505A. This soft needs an generated key depending on the PC. I also installed 4.3.3 in a VM, downgrades the EDIC-D- PDU-API-1.20.41 for the clone VAS 5054a. I’m preparing for a mechanic friend and will try it out soon at some cars. If this 4.3.3 runs without key, why the former 4.2.3 was with a hardware key? Or is there any other restrictions for using? ODIS 4.2.3 was protected with Enigma software so that it needed activation key to load program(IMMO). But ODIS 4.3.3 software was provided by Mr totalfree with no such restrictions. The reason for the restriction is to stop sellers who come to forums, download and sell dollars sadly. I tried to download postsetup using megadownloader software to avoid message“bandwidth limit exceeded”, but I have the message anyway after download. Don’t worry. You need to reboot your router(to possibly change internet address), then wait, after that ,pay for Mega account.